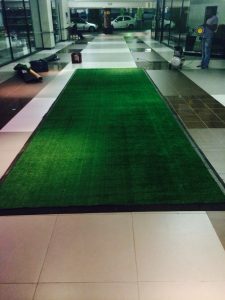 Most flooring suppliers that offer astroturf for rental only have it in roles. It is then taped down on the edges and double sided tape is used underneath, so it doesn’t always look the neatest. We have now modulized our astro! 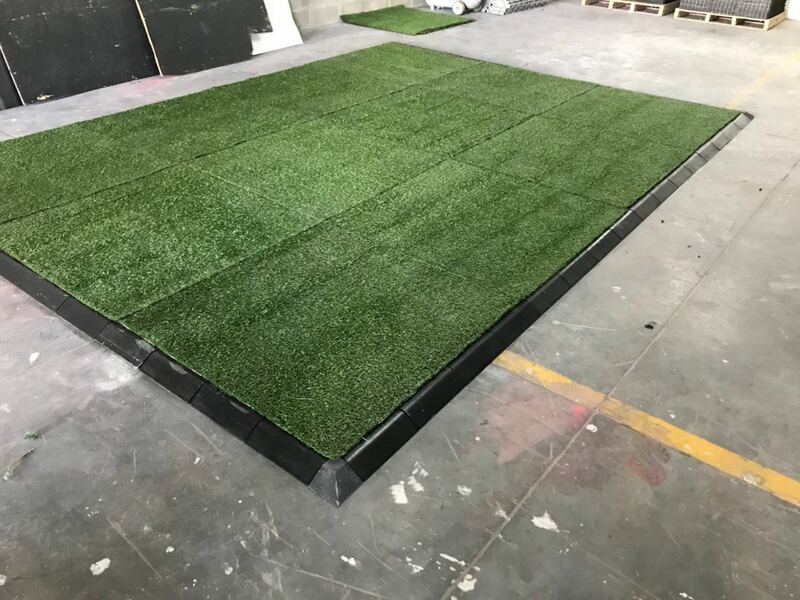 This means that they are on clip together flooring in 1mx1m modules and then a non trip safety edge is used all the way around. 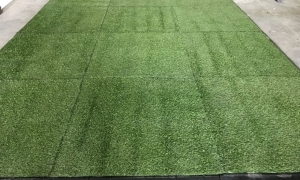 The pile is medium in length, giving a great feel and look to the grass. 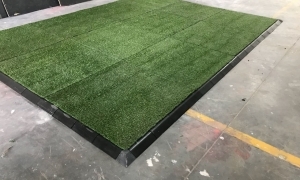 Why is our modulized astroturf better? Not only is it firmer, safer and neater; there is the added benefit of running your cable ducting underneath. That means there is no need for cables to be taped along the top making your stand look messy and again a trip hazard. 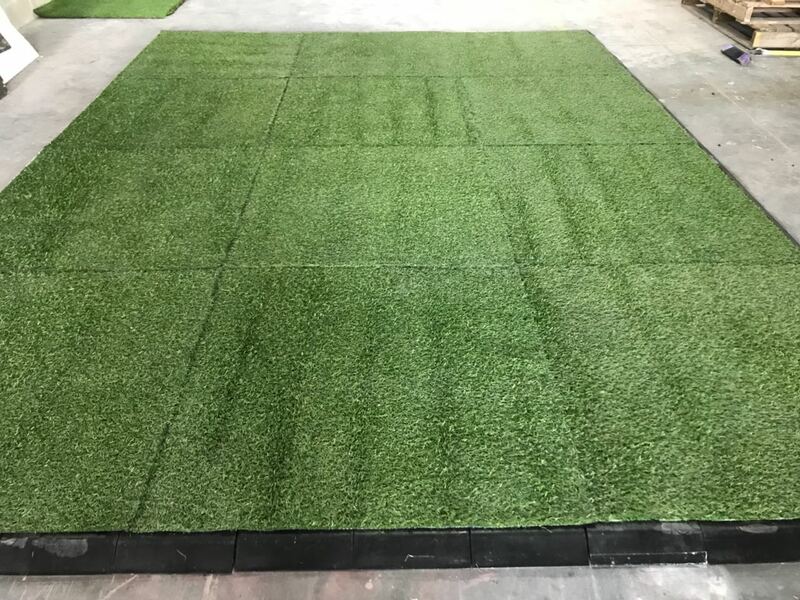 The flooring base is the same as our spectrum deck turf protection. This means that it can be clipped into a larger floor if you want an astro lounge area for example. 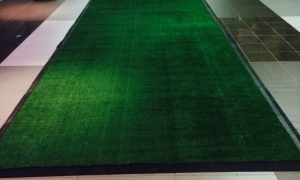 The flooring below was used in a kids zone and the grass area was used to outline the various areas. Now available for mall activations, stands at your expo, both indoor and outdoor use and for bedouins and marquees. It is especially useful in modulized formation for expo stands. This is because of having the non trip edging, so as clients come and go throughout your exhibition you know that it won’t come unstuck and start to curl back on itself. 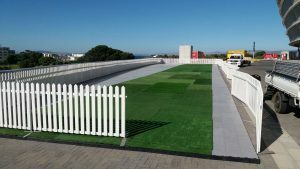 If you are having a home event, you can always deck your pool and then lay astroturf over the decked pool to create a lounge area, for example. 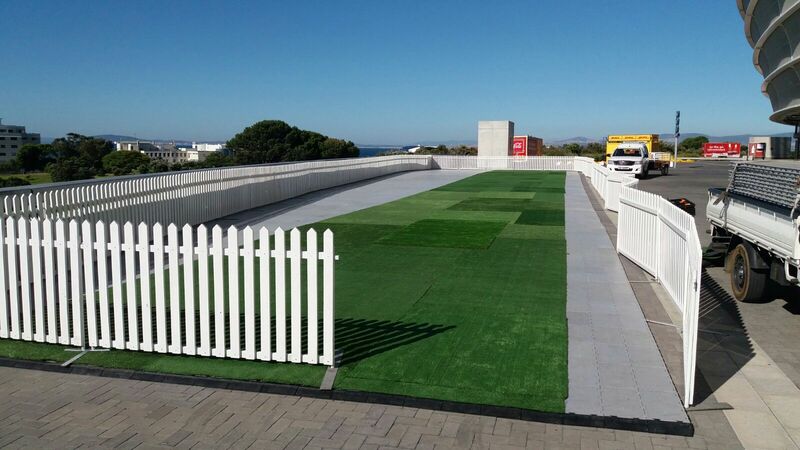 If you are looking for various other options, we have a wide range of flooring on offer that can be used for your event. Please don’t hesitate to contact us if you would like to get a costing for your event or some ideas!